Andrea Zupancich screamed when she heard the news: Minnesota is one big step closer to breaking ground on its first copper-nickel mine. Zupancich is mayor of Babbitt, the closest town to where the open pit mine would be built. 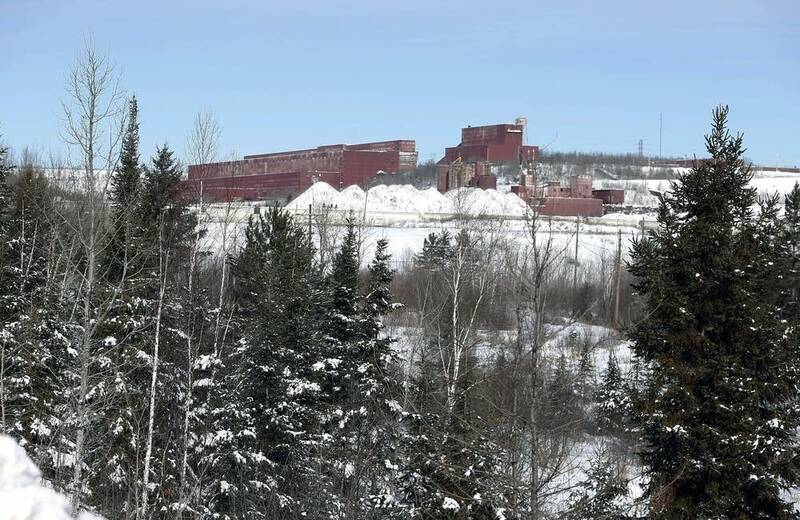 Along with other Iron Range leaders, unions and northern Minnesota mining supporters, the news Thursday that the state Department of Natural Resources had issued the PolyMet Mining company a permit to mine outside the town of Babbitt, was a clear sign of future renewal. "For everyone on the Iron Range, it's a great, awesome win," she said. To them, it means hundreds of jobs, new families and renewed economic vitality in a region that has suffered from a slow decline of employment in the iron mining industry. Babbitt's population has shrunk over the years from 3,500 at its peak to 1,500 people today, as nearby iron ore mines have closed or downsized. But to environmentalists, outdoors enthusiasts and water-rights activists, Thursday's announcement signals a move toward the deep unknown impacts of an industry that has so far been unproven in the state, one they fear could pollute the water and destroy the environment of an iconic corner of Minnesota. 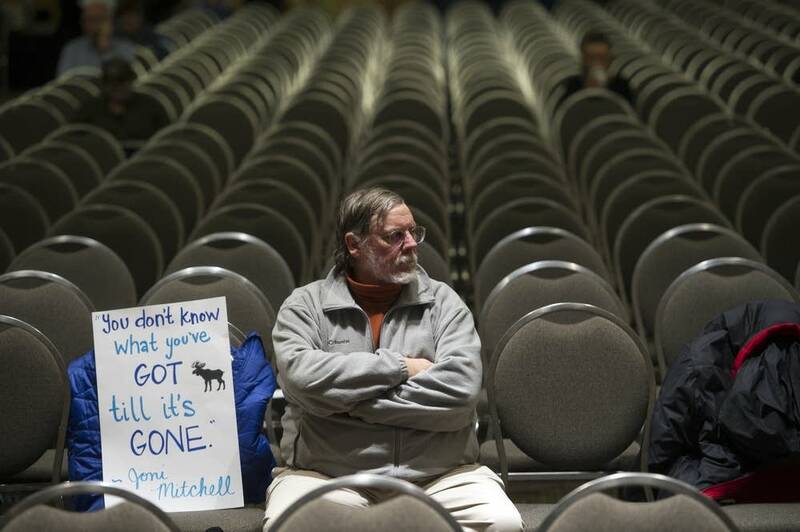 "It's a sad day," said John Doberstein, co-founder of Duluth for Clean Water. "I want my kids and their kids to enjoy the water and the air and the forests like I do." The question of whether Minnesota should exploit its vast mineral resources beyond iron ore has smoldered as one of the most controversial environmental debates in the state for more than a decade. PolyMet submitted its initial plans for a copper-nickel mine outside Babbitt and a processing plant near Hoyt Lakes 14 years ago. Since then, the proposal has been substantially redesigned, and wound its way through the permitting and environmental review processes required to open a brand-new mine. And now, with state regulators' approval, PolyMet needs only a handful of additional permits — from local, state and federal governments — before it can begin implementing its plan. The proposed mine would extract copper, nickel and precious metals from what's known as the NorthMet Deposit, a small part of the Duluth Complex, considered one of the biggest untapped copper-nickel deposits in the world. It stretches from about 150 miles north of Duluth all the way to the Canadian border. The $945-million project would operate for two decades at a site bordering an operating taconite mine on one side, and the Superior National Forest on the other. The ore would be put in rail cars and shipped 7 miles west to the former LTV Steel iron ore processing plant near Hoyt Lakes, which closed in 2001. To get to the ore containing the minerals, PolyMet plans to blast and drill into the deposit. But the copper, nickel and other metals are nestled within rock that also contains sulfur. When that ore is exposed to water and air, it creates an acid that can leach heavy metals into groundwater and nearby waterways. But in awarding PolyMet a permit to mine, the DNR said it's confident the company can dig a massive open pit mine; process 32,000 tons of ore a day for 20 years; safely store the waste; and eventually close and reclaim the mine, all while meeting the state's environmental standards. The project's supporters say modern mining is a different ballgame than the projects of the past. 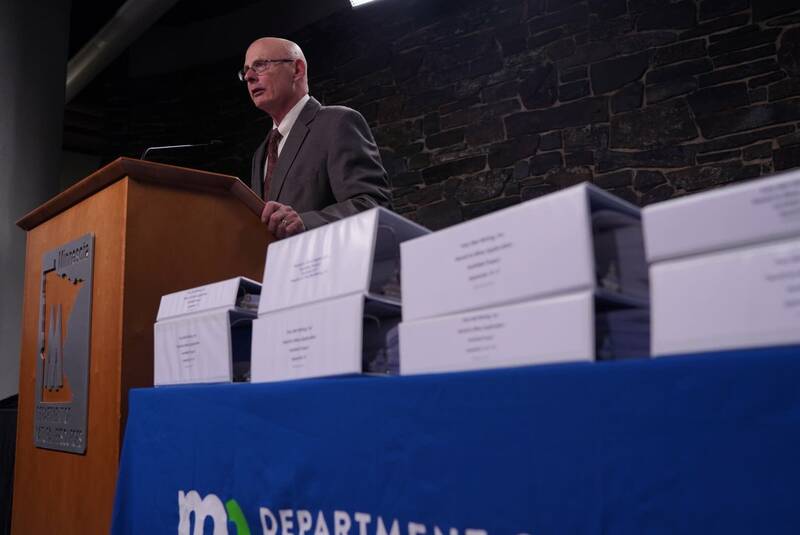 "The incumbent thing for us is to make sure the state holds the project [and] the company to the standards that are in state law, that's the best we can do," DNR Commissioner Tom Landwehr said Thursday. "We are just regulators to state standards. I think, to the extent that I'm concerned, I'm much comforted by the fact that we've got that strong framework in place." In addition, they argue, financial protections are in place in case something goes wrong. PolyMet's plan — and the DNR's permit to mine — lays out how the company plans to operate its proposed mine, control pollution and eventually close the mine after its planned 20-year lifespan. It also includes details on financial assurance protections, in case PolyMet were to declare bankruptcy and the state had to step in and close the mine and take on the responsibility of long-term water treatment — something that has happened at older mines in the western United States. The $74 million the company has set aside — which will rise to over $1 billion at the peak of mining — is a way to ensure that taxpayers aren't left footing the bill in case something goes wrong. The PolyMet project would sit at a major intersection of Minnesota's industrial and environmental interests. It's located on land formerly within the Superior National Forest, close to several lakes and some of the state's wildest country, a water and pine-rich region that drains into Lake Superior, about an hour's drive away. It's also on the edge of the Iron Range, a region where the economy has gone up and down over the years with the whims of the iron mining industry. PolyMet supporters see it as a project that has the potential to jump-start a different kind of Minnesota mining boom. They argue the mine could lay the groundwork for other, similar projects — like the Twin Metals copper-nickel mine proposed for a site near Ely, Minn. — that would transform northeast Minnesota. That proposed Twin Metals mine? It's located within the watershed of the Boundary Waters Canoe and Wilderness Area, one of the state's most protected — and beloved — spots. The Trump administration this year reinstated Twin Metals' mineral rights leases, renewals of which had been denied in the final weeks of the Obama administration, which has given the project a renewed energy. 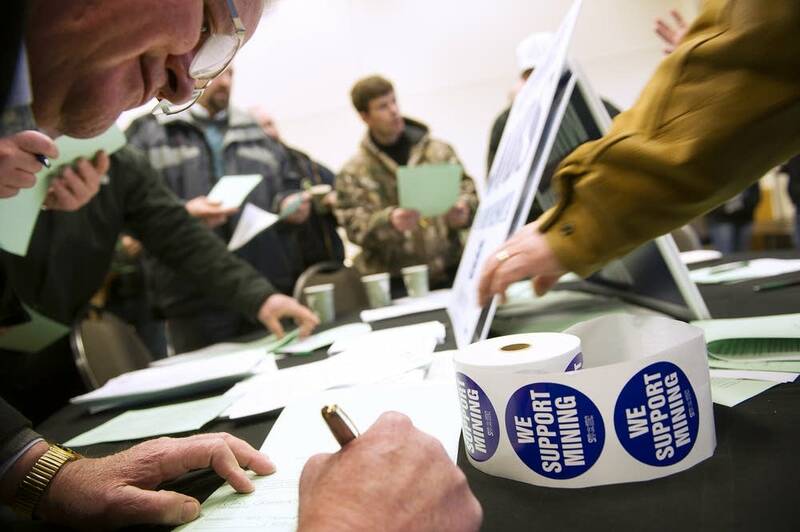 Backers argue the PolyMet mine would create 350 high-paying jobs, as well as hundreds of spinoff jobs, that would inject tens of millions of dollars into the regional economy. But detractors say that economic infusion could come at the expense of the Arrowhead region's treasured environment and outdoors-based economy, which they say can't coexist with copper-nickel mining poses that poses new risks for more severe water pollution than what's caused by the region's iron mining industry. Several environmental groups, including the Minnesota Center for Environmental Advocacy, have said they're concerned the DNR's PolyMet permits will make way for a "mega-mine." "The DNR failed Minnesotans today," said Aaron Klemz, the organization's communications director. Klemz and his colleagues are concerned that PolyMet will eventually try to expand the proposed mine into a much larger mine than the state has approved, one with much larger environmental impacts. That's because earlier this year, PolyMet submitted an updated financial report to Canadian regulators — the company is based in Torongo — suggesting that a larger project would be much more profitable than the one they pitched to Minnesota. Both the DNR and PolyMet dispute that claim. They say the company would have to go through a new environmental review and permitting process first, if they were to expand. "We have a substantially larger mineral resource that is out there in the ground," said Jon Cherry, PolyMet's CEO. "But that's not permitted. If we were to pursue that, we'd have to go through additional permitting." The DNR has issued the permits that PolyMet needs to go forward: The permit to mine, and also a handful of other, smaller permits that deal with issues of water use and endangered species. But PolyMet still has a few hurdles to clear: It still needs air and water permits from the Minnesota Pollution Control Agency, which it expects by the end of the year. And it also needs wetland permits from the U.S. Army Corps of Engineers. Once all the permits are in hand, Cherry estimated it will take two to two and a half years to build the mine. But environmental groups have already filed several more lawsuits to try to block the plan. And they say the DNR's decision not to hold additional hearings on the plan before approving the permits — something they had requested but learned that the DNR had denied — could lead to more. Civic leaders in the area, though, are confident the mine will be built. "PolyMet in our backyard means access to more jobs to fuel our economy, more kids in our classrooms and more customers in our businesses," said Hoyt Lakes Mayor Mark Skelton.